Whistleblowers who have been in their share of battles with the Department of Veterans Affairs under the Obama administration say retaliation is getting worse under President Trump, despite Trump’s assurances in April that he was taking steps to protect employees who point out problems at the troubled agency. Several whistleblowers and sources with experience investigating the VA told the Washington Examiner that while Trump seems to want to fix the broken VA, his goals, including whistleblower protection, are largely being ignored by the VA.
“The VA’s going after these guys with a vengeance,” said Eric Hannel, former staff director for the House Veterans’ Affairs subcommittee on oversight and investigations, who is still in contact with whistleblowers around the country. Hannel and other whistleblowers also have dim hopes for a new office established by an executive order Trump signed in April. They say that while the office is clearly aimed at helping whistleblowers, there are signs the VA may actually start using it to target them for retaliation. The VA declined to comment for this story. But there are a few theories as to how Trump’s stated goal of cleaning up the VA could be backfiring so badly. Some agree that with Trump in office, Republicans who pointed out the VA’s flaws for years have backed off, giving the VA room to do what it likes. Others note that Trump has yet to populate the VA with political officials who share his vision, and that day-to-day the VA is mostly being run by Obama administration holdovers. Rory Riley-Topping, a former VA official and staffer on the House Veterans’ Affairs Committee, said that is likely part of the reason why Trump’s “well-intentioned” executive order may not be implemented correctly. “Oftentimes, the supervisors and mid-level managers who are retaliating against whistleblowers are the career people,” she told the Washington Examiner. Whatever the reason, VA whistleblowers reached by the Washington Examiner say that so far, retaliation by the VA has increased in the last few months. Dr. Dale Klein has been hounded by the VA after publicizing problems like delayed access to care and VA policies that allow the overprescription of drugs. Klein is at risk of being fired on Friday, due to uncertainties over whether a federal labor board can grant a stay on the VA’s move to fire him. The Merit Systems Protection Board has granted stays before on that VA decision, but the board currently doesn’t have a quorum, and can’t extend that stay when it expires on Friday. The Senate passed legislation Thursday allowing these stays to be extended even when there is no quorum on the board, but the House is out this week, and has not passed it yet. Klein is one of the luckier whistleblowers. His story has been picked up by Fox News. Sens. Ron Johnson, R-Wis., and Claire McCaskill, D-Mo., have defended him in public and have pushed the VA to stop retaliating against him for blowing the whistle on shoddy practices. But even with that help, the VA hasn’t relented, and his supporters will hold a press conference in Missouri on Friday aimed at drawing attention to his plight. Klein told the Washington Examiner that it’s easy to imagine that whistleblowers would be much more protected under Trump. But Klein said in his opinion, whistleblowers are in a worse position now than they were under Obama. Klein said he and others believe the VA is implementing Trump’s executive order in the worst possible way for whistleblowers. Trump’s order was aimed at protecting whistleblowers and making it easier to fire bad VA employees. But Klein said the VA seems to be reacting by working to label whistleblowers as bad employees, and then moving to fire them. 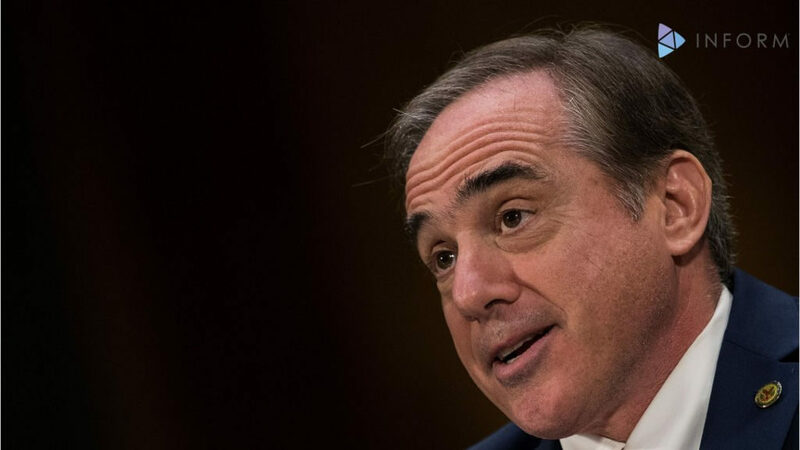 “The whistleblowers are concerned, and it maybe even happened to one whistleblower already, that [VA Secretary David] Shulkin can go ahead and define a whstleblower as a bad employee, and fire him by virtue of the executive order,” he said. Klein’s lawyer, Natalie Khawan of the Whistleblower Law Firm in Tampa, Fla., said it seems clear that implementation at the VA seems to be the biggest problem, given Trump’s stated desire to fix the situation. Dr. James Andrews, a doctor of neurotology in West Los Angeles, is one of just a few hundred board certified doctors in the country who specialize in things like hearing loss and facial nerve disorders. Andrews told the Washington Examiner that he had lodged several complaints over the years about overloaded clinics and faced a range of retaliation, including reduced pay. Six weeks ago, he had his lawyer write a letter to the VA about overloaded clinics. Three weeks later, he was told he was being fired. But the VA also insisted that Andrews waive his right to sue the VA, or he would risk losing his pension. On Thursday, faced with losing 25 years of benefits, Andrews conceded, but he’s not happy about it. Andrews’ former colleague is Dr. Christian Head, who has also testified before Congress about problems at the VA. Head told the Washington Examiner he is genuinely “scared” about his future given the new crackdown on Andrews and other whistleblowers. Head, chief of staff for quality assurance and legal review in West Los Angeles, says he’s worried he’s next. Head also agreed that Republicans appear less willing to dump on Trump’s VA. “It doesn’t really do a lot of good necessarily because it’ll reflect on the administration,” he said. But he also said things are “different” since Rep. Jeff Miller, R-Fla., left Congress and ended his chairmanship of the House Veterans Affairs’ Committee. Miller was an aggressive defender of whistleblower rights and was seen as tough on the VA’s missteps. In his absence, Congress has been quieter about the VA’s problems, and Head said that silence is already hurting whistleblowers. “Whistleblowers are getting crushed,” he said. Scott Davis is another well-known whistleblower from Atlanta who has testified before Congress, and he agrees with Klein that the VA appears to be making a new effort to target whistleblowers. He points to the last few days as evidence. Davis, who manages online content for the VA, said he was formally reprimanded this week for what seems like a minor issue: refusing to take down erroneous content after being told to do so by someone who isn’t his supervisor. Davis insisted that his supervisor must provide that instruction, and as a result, he was reprimanded. He said he hasn’t seen this kind of high-level interference for years, and he believes the VA is trying to build a file on him in order to fire him, much in the way that Klein described. Davis said VA headquarters essentially sanctioned his reprimand because the written warning was delivered to him after he emailed Shulkin. Shulkin, an Obama holdover who Trump nominated, emailed him back to say he would look into it, but the reprimand came nonetheless. Davis said the results so far under Trump have surprised him, given his expectation that things would improve quickly.